Jaguar has announced that the stunning, high performance XKR-S GT will be available in Britain, but that only 10 will be sold here for a price of £135,000 each. Originally designed to be produced in very small numbers for the US market, Jaguar have changed their minds about offering the XKR-S GT to UK customers. The XKR-S GT has been developed by Jaguar’s ETO division to be the ultimate track-focused but road-going iteration of the XK coupe. 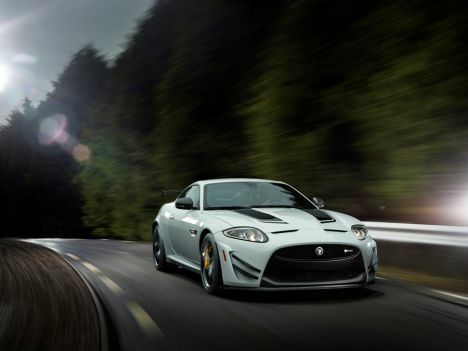 Extensive aerodynamic and suspension changes, as well as the addition of carbon ceramic brakes, have combined to give the XKR-S GT race-car inspired connected feel and braking performance. A 542 bhp 5.0 litre supercharged V8 will take this wild coupé from 0-60mph in just 3.9 seconds and on to a top speed of 186mph. Is this the next MINI? Spy shots are published of the next MINI! Reasonably Priced Car is British-built at last!